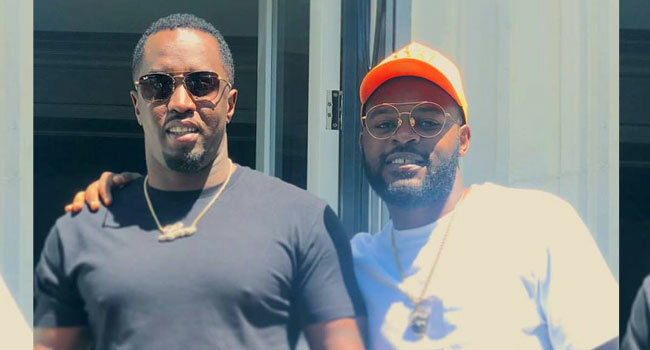 Popular rapper and comedian Folarin ‘Falz’ Falana on Thursday met with American hip-hop mogul, Sean Diddy Combs, in Los Angeles, California. Falz, whose recent single ‘This is Nigeria’ generated positive reaction from many including Diddy shared videos of the meeting on social media. The comic-actor also gave Diddy a new name, ‘Oluwadiddy’. “New name alert. Oluwadiddy,” the American hip-hop mogul said in one of the videos. The American superstar had hinted earlier in July that he may visit Nigeria after he met Nigerian superstar Ayobami Balogun a.k.a Wizkid. “I’m coming home! NG.” Diddy posted on his Instagram in July after sharing a video of his meeting with Wizkid. See below videos shared by Falz after his meeting with Diddy. New name alert!  @diddy    Oluwadiddy!